We’re on the move! Come and see what all the buzz is about! Our vision is to prepare and position deserving minority and female-owned businesses to win contracts, increase branding visibility, and to expand their client base through relationship development opportunities. NAMC provides the quarterly training series that includes workshop topics ranging from RS Means, Davis Bacon, Estimating, Professional Development, and OSHA training. 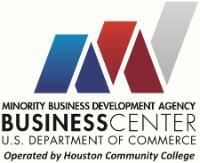 Also, NAMC will provide hands-on workshops for companies interested in pursuing work with government agencies. Back office support is critical to the growth of your business. NAMC offers members assistance with HUB and City of Housotn (COH) cefrtifications Relationships with city and state agencies assist with the expediting completed applications. NAMC National pursues advocacy initiatives on behald of members that affect the industry and miniourty contractiors collectively. Member Protection is very important to NAMC and we make great strides to ensure that the interests of NAMC members are looked after. Our monthly meetings and annual events foster an opportunituy top meet and greet other contractors in the market. Having the ability to meet with prime contractors allows your company a chance to estabilsh relagtionships and develop strategic partnerships with other members of similar size and work scope. A major position of NAMC is to bring about wider procurement and business opportunities for minority contractors. All of the State of Texas agencies post their major projects on the Texas Marketplace. Our ongoing commitment to assist small business is through the development of our Member-to-Member program. It is through the creation of this program that real capacity building opportunities are created. NAMC conducts a matchmaking process aimed at connecting NAMC members with prime contractors.